Balaram Ghosh is an outstanding scientist (Director-Grade) at the CSIR-Institute of Genomics & Integrative Biology (IGIB), where he heads the Genomics and Molecular Medicine Unit and the Respiratory Disease Biology Unit. He graduated in chemistry from the Calcutta University in 1975, followed by post-graduation in biochemistry and obtained his PhD in Biochemistry from Bose Institute, Calcutta University. After completing his post doctoral research at the University of Connecticut, CT., USA in 1988, he served as a tenure-track Assistant Professor at the Johns Hopkins Univ. Sch. of Medicine, Baltimore, USA before joining IGIB as a Senior Scientist in 1995. He served as a member in the Genetic Engineering Approval Committee (GEAC), and the Review Committee on Genetic Manipulation (RCGM), Govt of India. His current research activities integrate genomics, molecular biology, cell biology and immunology to decipher the molecular mechanisms of respiratory diseases, especially asthma and COPD. His work has led to a new understanding of the roles of mitochondria, microRNAs, inositol polyphosphate 4 phosphatase- (INPP4A) in asthma pathogenesis which has been recognized globally, as the editorial board member of several international and national prestigious journals, as well as elected fellow in all the three national academy of sciences, received several awards including Prof. S.S. Katiyar Award (2007), D.N. Shivpuri Oration Lecture (2012) and Sir J.C. Bose National Fellowship from the Department of Science & Technology (2011), India. Dr. Anurag Agrawal, MD, PhD. Dr.Anurag Agrawal is a principal scientist at the CSIR Institute of Genomics & Integrative Biology (IGIB), where he leads the Center of Excellence for Translational Research in Asthma & Lung disease (TRiAL) and the CSIR program for Enabling Affordable Community Health through Information Technology (EACH-IT). He graduated in medicine from the All India Institute of Medical Sciences in 1994, followed by specialization in Internal Medicine, Pulmonary Disease, and Critical Care from Baylor College of Medicine, Houston, (2003) and a PhD in physiology from Delhi University. After working as a tenure-track Assistant Professor at Baylor, he joined IGIB in 2007. His current research activities include use of experimental and computational model-systems to study disease, especially asthma. This work has been recognized internationally, as an alumnus of Kavli Frontiers of Science program of the US National Academy of Sciences, as well as nationally in the form of Lady Tata Young Researcher Award (2010) and the Swarnjayanti Fellowship of the Department of Science and Technology (2010). Dr. Agrawal also serves as an advisor to other scientific and healthcare organizations including Public Health Foundation of India, Max Healthcare, Maharaj Agrasen Medical College etc. 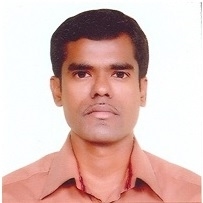 Dr. U. Mabalirajan, MBBS, PhD. U. Mabalirajan, Scientist at the CSIR-Institute of Genomics & Integrative Biology (IGIB), has a keen interest in exploring the molecular mechanisms of adaptive responses of airway epithelial cells against various exogenous and/or endogenous insults, for a fuller understanding of respiratory diseases. Using this understanding, he is in the process of developing etiology oriented rather than symptom oriented bedside therapeutics. Currently, he is trying to explore the mechanisms of airway epithelial injury and post-injury sequelae in asthma. He graduated in Medicine from the Thanjavur Medical College (Dr.M.G.R. Medical University) in 2002. Then, he obtained PhD degree in Medicine from All India Institute of Medical Sciences in 2010. Dr. Vijay Pal Singh joined IGIB in 2006 after gaining diverse experiences as a Veterinarian, in a multitude of settings such as government, multinational pharmaceutial companies, as well as in charitable organizations. Being inquisitive, he was attracted by the energy and enthusiasm in IGIB and just finished doctoral work towards a PhD degree in Biotechnology, in addition to his duties as the institute veterenarian. He has been academicaly active, evidenced by a number of publications in peer reviewed international journals, and has come up with a number of creative ideas to improve the animal facility and usage. Being inspired by the Lab Animal Course at Utrecht University, Netherlands and Competence based learning at Practical Training Center, Netherlands, he has started a course similar in the line of FELASA ( Federation of European Laboratory Animal Scientist Association ), at IGIB. This course has been funded by LAL ( Laboratory Animal Limited ) U.K., which is being fully supported by IGIB and well received by faculty and students in IGIB. He is also a member of many IAEC (Institutional Animal Ethics Committee) outside IGIB, which allows him to implement of animal welfare issues at much larger scale. He is also an active sportsman and is involved in every facet of IGIB life. Manish Bodas is working as a Project Scientist at the CSIR- Institute of Genomics & Integrative Biology (IGIB), in the project “CSIR-Mayo Clinic Collaboration for Innovation & Translational Research” since March, 2013. He completed his graduation from Zakir Husain College, Delhi University in 1999, followed by an M.Sc in Biotechnology from Jiwaji University, Gwalior (2001) and a Ph.D. (Biotechnology) from National Centre for Cell Science, University of Pune in 2007. He went on to pursue his postdoctoral research at Johns Hopkins University (JHU), Baltimore, USA. His research at JHU was focused on various cellular mechanisms that modulate cigarette smoke-induced COPD in the murine model. He has 13 publications in peer-reviewed international journals. Manish has also received the American Thoracic Society (ATS) Travel award at the ATS Conference, New Orleans, USA, 2010. He has been a reviewer for peer-reviewed international journals like PLoS One and Lung India. Before joining CSIR-IGIB, Manish was working as an Assistant Professor at Dr. D. Y. Patil Biotechnology and Bioinformatics Institute, Pune (Aug 2011 to Mar 2013).